Marie A. Korte, nee Kalmer, 89, of Germantown, died Wednesday, May 03, 2006 at St. Elizabeth Hospital in Belleville. 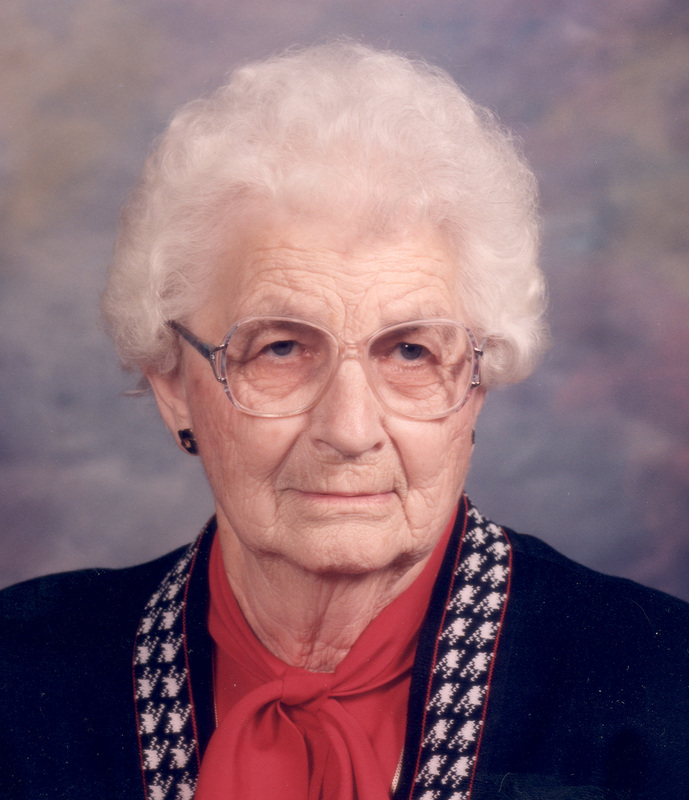 Mrs. Korte was born May 17, 1916 in Damiansville to Henry and Bertha (Heckenkemper) Kalmer; they preceded her in death. She married Bernard A. Korte on April 22, 1936 at St. Damian Catholic Church in Damiansville; he preceded her in death on July 2, 1990. Also preceded in death by brothers, William, Henry, Leo, Alphonse, and Hubert Kalmer, and a sister, Agnes Becherer. Surviving is a sister, Estelle Stukenberg of Aviston. Numerous nieces, nephews, great-nieces, and great nephews. Marie along with her husband retired as dairy farmers, she was a homemaker and enjoyed quilting. She was a member of St. Boniface Catholic Church and Altar Sodality, St. Joseph Hospital Auxiliary, and the Clinton County Farm Bureau. Funeral Mass of Christian Burial will be Friday, May 5, 2006 at 11:00 AM at St. Boniface Catholic Church in Germantown with Fr. Stephen Humphrey officiating. Interment will follow in St. Boniface Cemetery, Germantown. Visitation will be Thursday, May 4, 2006 from 4:00-8:00 PM and again on Friday, May 5, 2006 from 8:00-10:45 AM at the Moss Funeral Home in Germantown. Memorials can be made to the St. Joseph Hospital Auxiliary Lights for Scholarship Program and will be received at the funeral home.